Exchange rates: 10 copper = 1 silver, 5 silver = 1 gold, 5 gold = 1 platinum. - An average meal cost 2 coppers, an average ale is 1 copper. A room at an average in is 5 copper. The slave trade is very much alive in the south, the slaves taken from the Fire Islands (far to the south). It is frowned upon in the Nroth. The king tolerates it to maintain unity across the entire continent. The Royal Family are the Aldaires. They conquered their neighboring nine kingdoms in the last several centuries, taking down one at a time. The northern kingdom was the last to go, less than 200 years ago. Grey Lake is the largest city in the North. Grey lake is the largest body of water in the north. The lake is so named because of the massive clay banks and cloudy grey colored waters. Fogs roll off of the lake often enough. It is rumored that there is a lake monster hidden beneath its murky depths, but those rumors are mostly laughed off. 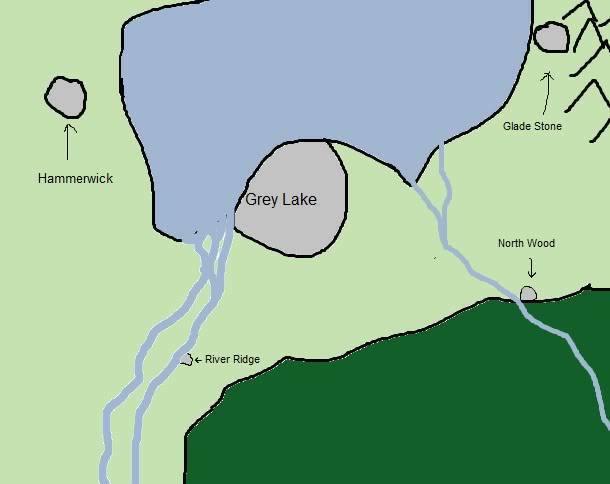 On Grey lake's banks are three cities (Grey Lake being the largest among them) and approximately seven villages. Also Post your character info here. This thread will be used as a reference for you, other players, and moderators. Any details you wish to post are fine, feel free to edit in more details as you come up with them, inventories, and additional information your character has learned. Players, please bear in mind the difference between players and characters. Just because you have read another characters background does not mean your character knows a damn thing about the other character's background. Age: at first glance roughly late 20s or early 30s, but with a few white hairs. Description: Avren is a slight, almost frail looking woman with very pale skin and black hair she wears loosely coiled in a bun. Her eyes are grey, with dark rings underneath as though she doesn't get a lot of sleep. Though she speaks in a precise, educated manner, most often she's dressed very modestly; a simple black traveling robe thrown over equally plain clothing of the same color, with her only ornamentation being a tarnished silver clip set with three raven feathers she uses to pin back her hair. Newly arrived in Grey Lake, not much is known about her, but she has a slight accent of the central lands around the capital that makes it seem she's traveled a long way, apparently with no companions aside from a single pack-pony and a rather common looking serving girl. The servant, Yantse, is a plain-faced young woman who, with her lean, long-limbed build and healthy tan, breeches, boots, and wide-brimmed straw hat might be mistaken for a peasant boy at first glance. She has hazel green eyes and sandy hair that hangs just above the shoulders in a pageboy style. Yantse is an obedient, quiet and unobtrusive shadow to Avren, so much so that people sometimes forget she's in the room, and have on a couple of occasions even assumed she was mute. In the unlikely event anyone bothered to look closely enough to notice, the only unusual thing about her would be a long white scar on her neck and the fact that she's missing the index and ring finger of her left hand. Appearance: Mousy and small for his age, but sinewy from hours of menial labor. Wears plain enough clothes, though they often get somewhat dirty due to the nature of his work and sometimes require patchwork. Personality: Tom is a bit shy, but friendly and dutiful. He has a curious mind and is always eager to hear stories and know more about the world around him. At this point in his life he doesn’t know what he wants to be, but he’s pretty sure he doesn’t want to stay a servant or become an innkeeper. Background: As a babe, Tom was abandoned on the doorstep of the Rusted Nail. Its owner, Gil, took him in and raised him alongside his own daughter, Molly. Though kind and loving, Gil could do little for the boy other than rear him for a life of innkeeping since he was old enough to walk and talk. His surname derives from the occupation put down beside his name during a town census. Tom cannot read or write, but probably could someday if taught, as he is a quick learner. After years of toiling, he has become a capable worker and is generally practical, if still naïve due to his young age. Regardless of his happy if also strenuous life, the urge to leave the Rusted Nail and Grey Lake to see the world increases every day. Brown hair that is shaggy and wild looking. No beard. His eyes are a combo of Hazel and blue, He has scars on his arms and chest and One slash going from is top left brow to his right bottom corner of his eye. About 6ft11in very muscular and fast. Age: 25-35 No one really knows. After being abandoned as a babe, after his parents were killed by highway men, in a southern forest he was nursed by a mountain Lion. They cared for him and what-not and he grew. When he reached the age of around 15 he left the forrest behind to see what else was out there. He found people. One of the people captured him, kept him in a cage and charged admission for people to see him. "Uydr" in the language of the Fire Islands (a series of thirty or so islands beyond the Southern most tip of the continent) means "Ugly one." (or some other insult). Uydr, of course, does not realise this. Travelling with his master, Kabbot; Uydr was part of a freak show of sorts. He travelled along other oddities, mostly slaves though there were a few who willingly worked for Kabbot. As "Kabbots Oddities" moved northward he noticed a decline in clientel. The northerners don't approve of slavery like the southerners do. Before Kabboy can turn his freak train around, a city official confiscates the train and frees the slaves; sending Kabbot back South without a copper to his name. In Uydr's eight years in the freak show he was seldom spoken to and was never taught much of anything. This is not to say that he was unintelligent, only that he could not speak. The city official sent Uydr to a tutor who taught him the basics of the language. While Uydr is learning the language, he does not have a firm grasp on it... And he has yet to shake his wilder instincts and habits. Personality: He is someone who has a sense of right and wrong but it is not nearly as clear cut as most peoples are. His idea is "If a man steals food because he has a family who is starving" is fine and does not deserve punishment. While someone who steals because they can deserves punishment. He considers people with weapons weak and feeble in body. He is interested in learning about the world around him but not in the people personally. He does not drink alcohol and hangs around animals more often then people. Sorry guys, I just recently figured out how to navigate the threads so I didn't get Admin's post about this thread. Anywho, here's my character with a few updates and changes. Description: A former slave in an uncivilized Western land, he took place in a slave revolt and found himself homeless as a result. After the revolt, he wandered the land, killing animals and humans alike when he needed to survive, and eventually found himself in the North. Now in the Rusted Nail in order to get some rest, rumors spread quickly about his past, some say he walked for days without sleep, others say he killed his slaveowner with nothing but a broomstick, but one thing that can certainly be confirmed is that nobody wants to pick a fight with this young man. Due to his slave heritage, Ulmark relies more on his muscles than his brain and is best suited to blunt weaponry. He has a basic understanding of the common language (it's not his native tongue) and has a gruff personality that came about from his time alone in the wilderness. Although he generally chooses not to communicate much, he gets along better with the less sophisticated and feels uneasy, and on the rare occasion violent, around the rich and educated as they remind him of his former slaveowner. Goal/motive (inspired by Cool's monk thing): Ulmark doesn't really have a purpose in life, and now simply looks for excitement and personal gain. He also wants to learn to fight better with blunt weapons, but this is mearly something to strive for.